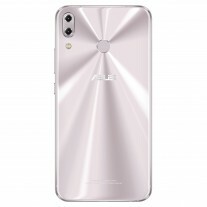 After introducing the entry-level Zenfone 5 Lite, Asus got to the main event of its MWC press conference. That is, of course, the Zenfone 5. 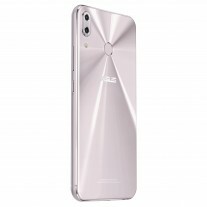 But wait, there's a higher-end Zenfone 5z too. These models are almost identical, save for the chipset used, and the amount of RAM and storage you can get them with. 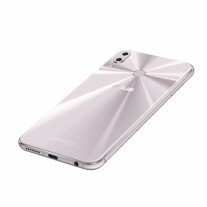 They feature a metal frame and 2.5D curved glass on the front as well as the back. They are both filled to the brims with AI: AI Boost (for more power when gaming), AI Photography (with scene detection, photo learning, portrait mode and beautification), AI Display (stays on while you're looking at it and has automatic color temperature adjustment), and even AI Ringtone (which automatically adjusts the volume according to how noisy your surroundings are). Oh, and Asus is also introducing something called ZeniMoji - live-animated avatars which you can even use in video calls or live streams. 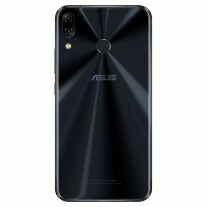 The Zenfone 5 comes with a 6.2-inch 2,246x1,080 Super IPS touchscreen with DCI-P3 support, 19:9 aspect ratio, 500-nit brightness, and a notch that Asus boasts is "26% smaller than the Fruit Phone X" (seriously, those words were actually uttered on stage). 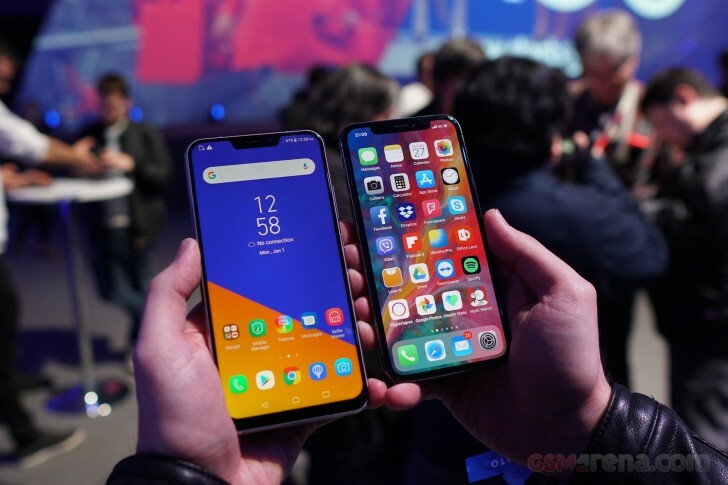 Coincidentally, we happened to have one of those Fruit Phones with us at Asus' event, so here's what a Zenfone 5 looks like next to it. Impressively, it has a 90% screen-to-body ratio thanks to that notch and the slim bezels all around. The phone is powered by Qualcomm's Snapdragon 636 chipset, built on a 14nm process. You'll get either 4GB or 6GB of RAM and 64GB of internal storage. On the back there's a 12 MP main camera with Sony's IMX363 sensor, f/1.8 aperture, OIS, dual pixel phase detection autofocus, 1.4um pixel size, and 83-degree field-of-view. Alongside that you get a 120-degree wide-angle camera of unknown resolution. Selfies are taken care of by a single 8 MP unit with f/2.0 aperture and 84-degree field-of-view. 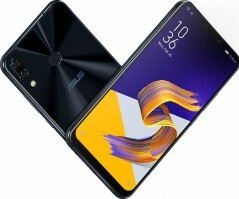 The Zenfone 5 features a 3,300 mAh battery with AI charging that should double its lifespan. You also get dual-SIM functionality, and dual speakers with dual amps. Hi-Res earphones come in the box, and the phone has an FM radio too. Software-wise, you're looking at Android Oreo with ZenUI 5.0 on top. 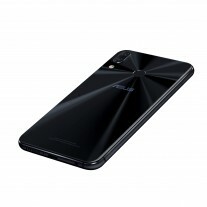 Expect to see the Zenfone 5 in Midnight Blue and Meteor Silver. 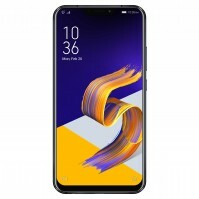 The Zenfone 5z, on the other hand, is basically the Zenfone 5 but with a Snapdragon 845 at the helm, paired with up to 8GB of RAM and 256GB of storage. Your exact RAM/storage options are: 6/64, 8/128, or 8/256. This device will be priced from €479. Official pricing for the Zenfone 5 hasn't been announced yet. Hahahahah! Not working?1 Is that why Android has 87.1% market share an Apple 12%? Hahaha people are so ignorant. That's what i thought at first, now it grew on me, Lol. 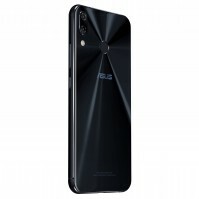 Bought my son an Elephone 4 and just ordered myself the Asus Zenfone 5.